You all know the drill gentlemen, man meets woman in a bar, they hit it off, woman gives man her phone number and says 'call me' as she disappears into the night. 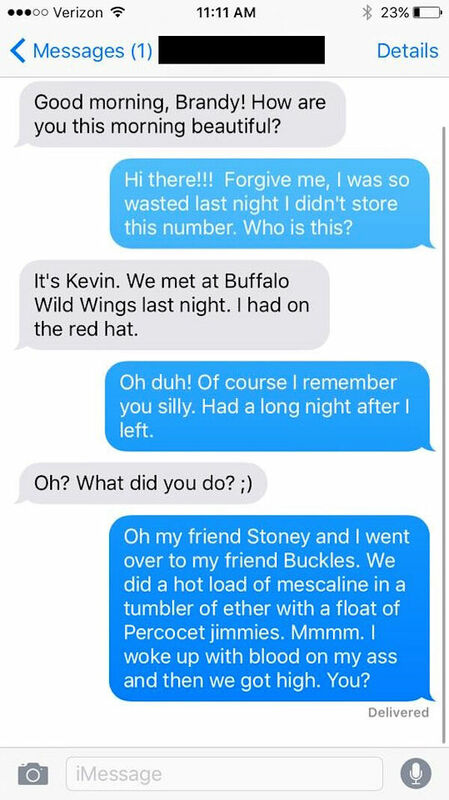 Man strides back to the bar and orders free drinks for all of his buddies and just before he passes out that night he texts the woman to arrange a hook-up. But as many of you are aware by now, the twist in the story is that you never see of hear from her again. 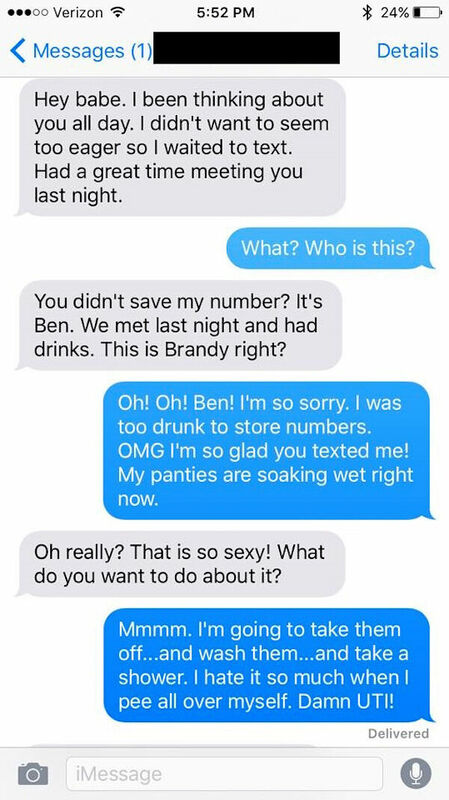 Back to present day and it seems a girl going by the name of Brandy has been giving out a fake phone number to various guys she meets on nights out. So far so whatever. 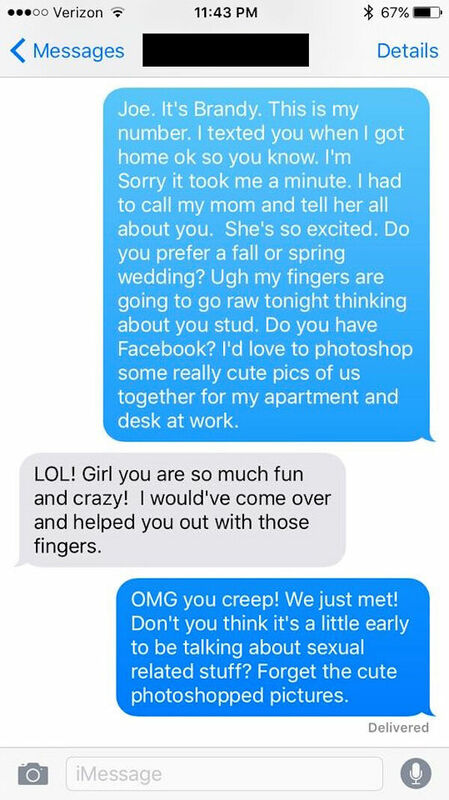 But, it turns out the fake number she supposedly made up is actually real, and belongs to a guy. 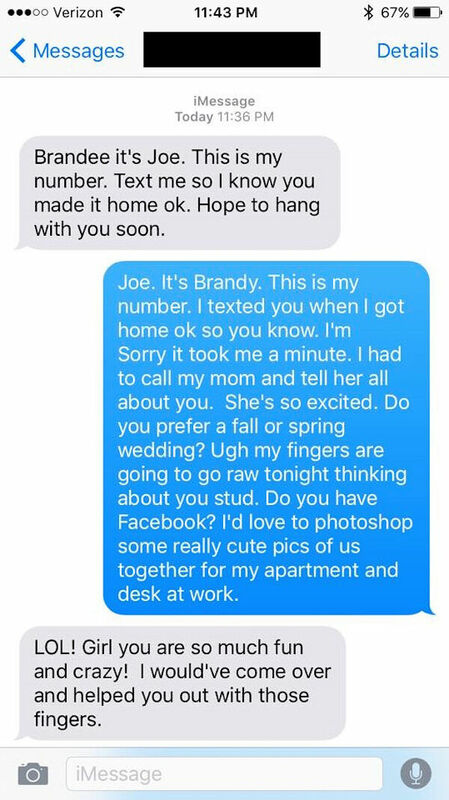 Which has meant that this guy has been receiving texts sent for Brandy, texts from the guys she's brushed off and who are now eager to get in contact with her. 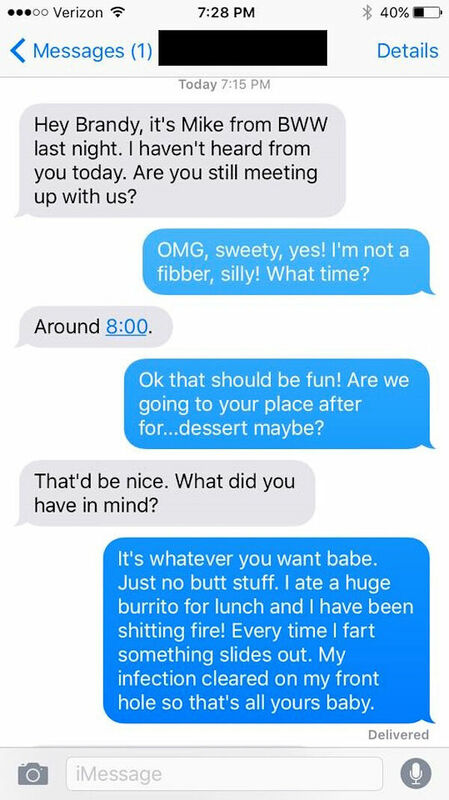 As you might imagine it might get a little tedious to constantly have random men texting your phone. But, not the guy whose number this is. 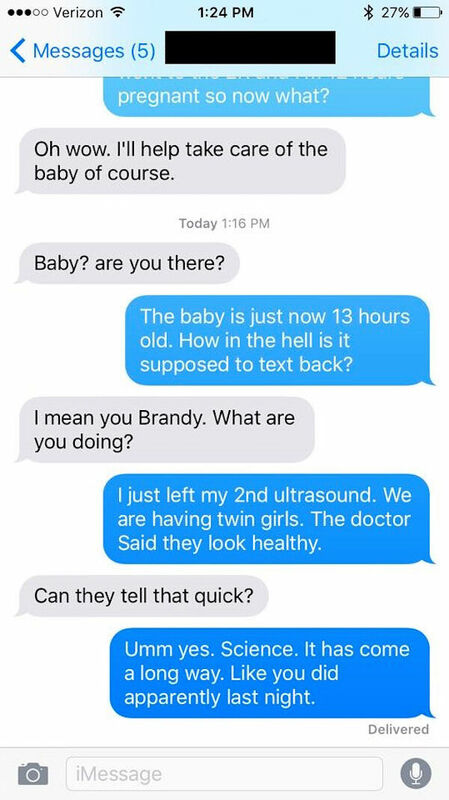 Because instead of just texting back that they've been given the wrong number, or getting increasingly annoyed that, yet again, his number's been given out incorrectly, he decided to prank Brandy's brush offs in the most hilarious ways possible. By having some fun with them and their poor spelling and grammar. And their poor grasp of the fundamentals of the birds and the bees. And generally just trolling them in the most brutal ways. The results are very funny, and a masterclass in how to deal with unwanted men who desperately seeking a woman called Brandy. 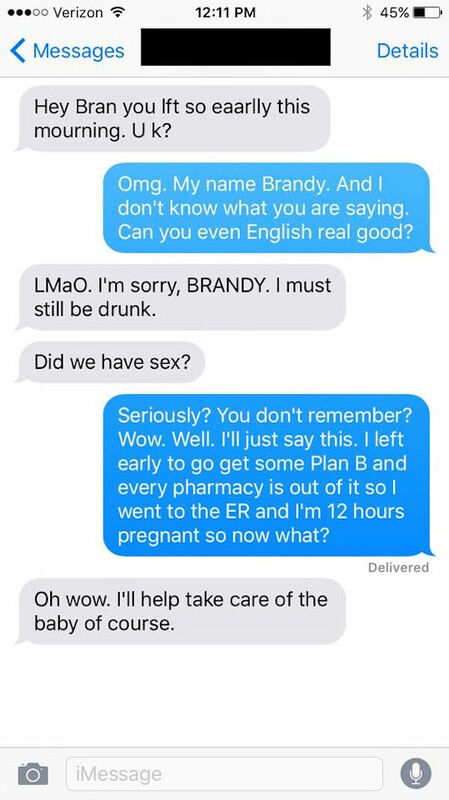 And Brandy, if you are reading this, keep doing what you are doing.